It speaks to the character of Sharon Van Etten that she used the acclaim for her previous record, Tramp, as motivation for her new work. Focusing on the praise heaped on that album’s collaborations, she took the bit between her teeth, brought her touring band into the studio, and came up with Are We There. Like nothing since Rosanne Cash’s Interiors, this is Uneasy Listening of the highest order. As much as you want to escape the visions set forth, the melodies keep dragging you back in. Like a hesitant sunrise, the piano and swirling strings of “Afraid Of Nothing” bring the LP to life. 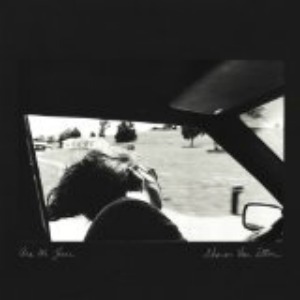 For one whose stock in trade is intimacy and exploring psychic shadows, it turns out Sharon Van Etten does grandeur well, as evidenced by “Your Love Is Killing Me”, an absolute mountain of a song that drags you out the other side, changed. To even try to parse the lyrics here feels like a movie spoiler. The overall success of Are We There is that the rest of it can emerge from the shadow of such a song. Emerge it does, with unexpected touches such as the horns on “Tarifa” that are an instant “why doesn’t she do this on every song” moment. All this fancy stuff is well and fine, but she certainly hasn’t lost her touch with simplicity, as “I Know” pares down to simply woman and piano, then tears out your heart and hands it to you.